UK freight shipping to China, USA, Far East and Australia. Cargo forwarding, removals and haulage distribution company. RSJ have an extensive network of offices (48) throughout the USA (United States) most of which offer the complete range of services such as customs brokerage as well as domestic and international air and ocean forwarding. All major Gateways such as New York, Los Angeles, Chicago, Boston, Atlanta, are covered by fully staffed offices. Let us help you with your U.S. requirements, whatever they are and wherever they may be. RSJ International have seen a rapid growth in their business activity throughout China thanks to the help and support of Jetspeed who have currently 12 offices centered around major Chinese cities and industrial areas. From their head office in Hong Kong Jetspeed operate a full range of services through their facilities in the following Cities: Taipei, Shanghai, Beijing, Qingdao, Guangzhou, Fuzhou, Shenzen, Xiamen, Suzhou, Hangzhou and Nanjing. RSJ are fully represented throughout Australia as well all the main trading areas in South Asia such as Singapore, Indonesia, Malaysia, The Philippines and South Korea. Call us for quotations on your inbound and outbound freight, air or sea. Spain, Finland, Sweden, Holland, France and Russia are just a few of the many countries across Europe where we do business and no job is too big. 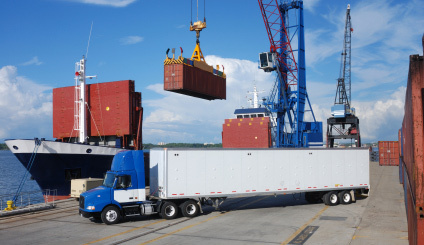 We have several years of experience in moving freight and distribution and you can contact us at any time. RSJ has both economy and express services available to suit your needs and we welcome your enquiries. There are few countries to which we have not shipped and we many years of experience in dealing with international freight. We are happy to take enquiries for shipments to any country globally and are happy to provide you with a free quote!